Carbohydrates are the main source of energy for our brain. Dietary Guidelines for Americans 2010 recommend 45-65% of the calories from carbohydrates. If we deprive ourselves of this essential nutrient, we won’t have the proper energy for our daily routine. Lack of carbs in the diet can make us feel tired, weak and light-headed. Complex carbohydrates are a good source of dietary fiber and fiber is important for a healthy digestive system. Soluble fiber also helps lower cholesterol and slow the digestive system making us feel full. The feeling of fullness will prevent us from overeating. Simple carbs do not have fiber and are processed quickly in our bodies. But not all simple carbs are bad. For example, milk is a source of protein and carbohydrate and provides calcium that is necessary for strong bones. Carbohydrates should be part of every meal in the form of whole grain bread, brown rice, fruit, and chickpeas, but in proper portions. 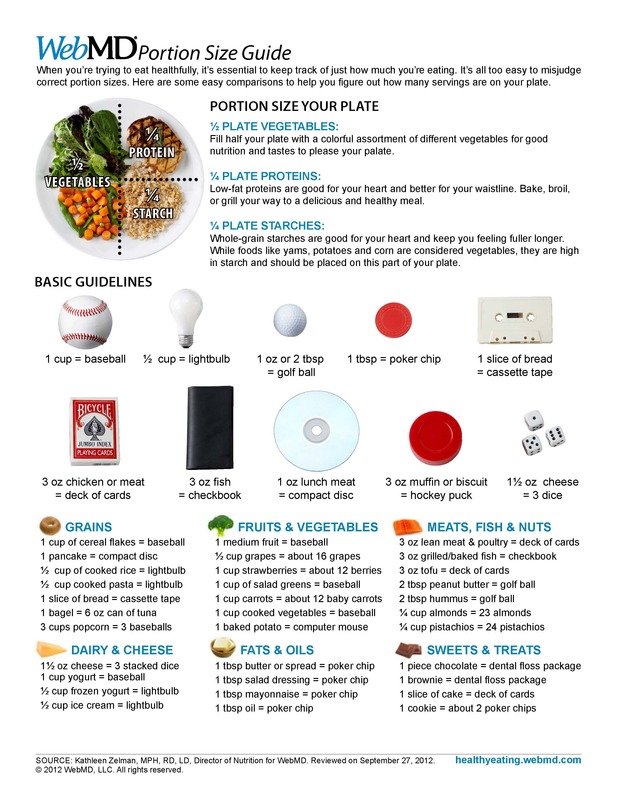 Check out the link below to learn more about appropriate portion sizes. This entry was posted in Health and tagged bread, carbohydrates, complex, digestive system, Energy, fiber, Fruits, legumes, portion, rice, simple, vegetables, whole grain. Bookmark the permalink.